Five Post Graduates from the Faculty of Science and Agriculture, UFH, were part of the 25 students countrywide who represented South Africa in the Annual Summer Practice event held at the Joint Institute for Nuclear Research (JINR) in Dubna, Russia. The programme, aimed at exposing South African students to international research opportunities. 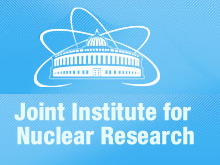 Mr Awonke Tshefu, Ms Thandiswa Magqeleba, Mr Siphosethu Ntuku, Ms Atsile Ocwelwang and Ms Namhla Manona, undertook projects under the supervision of researchers at the various laboratories at the Joint Institute for Nuclear Research (JINR) in Dubna. During the practice students worked on various projects depending on their background, wrote a report and gave a presentation at the end of the program. “The programme has exposed me to advanced research equipment like Neutron Spectroscopy, Scanning Electron Microscope, etc. and my project there was relevant to the one I am currently doing at Fort Hare. It was also an experience to interact with students from various places in Russia and exchanging knowledge which I believe will lead to the significant breakthroughs for the future”, said Mr Awonke Tshefu, who is currently doing his MSc in Inorganic Chemistry at the UFH. Dr Noel Mkaza who is the Coordinator of the programme and based at the Faculty of Military Science, University of Stellenbosch, in collaboration with NRF, has extended invitations to supervisors in South African researchers engaged in research areas of JINR, and who would like to establish long term research collaborations with JINR researchers with the view to build local SA research capacity. As a result, Mr Phumezo Kwinana, Director of the FOSST Discovery Centre, UFH is among those selected to go to Russia to establish long term collaborations with JINR. He will leave for Dubna, Russia on 07 October to 11 October 2013. The UFH congratulates Science Graduates that represented UFH in Russia!